After three fantastic years, Citizens’ Rail comes to a close at the end of this month. What did we achieve? Find out in our interactive poster. Thanks to all who have contributed to such an inspirational and enjoyable project. 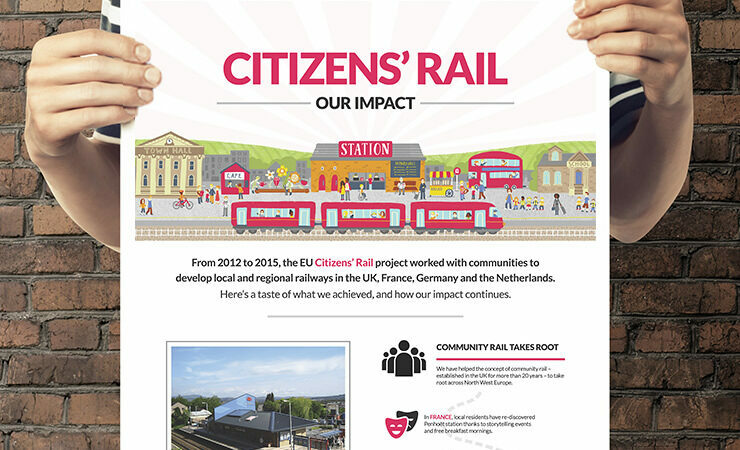 Citizens’ Rail will live on through our toolkit and in our online network – we welcome you to join as we work together to develop our local and regional railways.